Third piece of "Swimming with Gems" series. 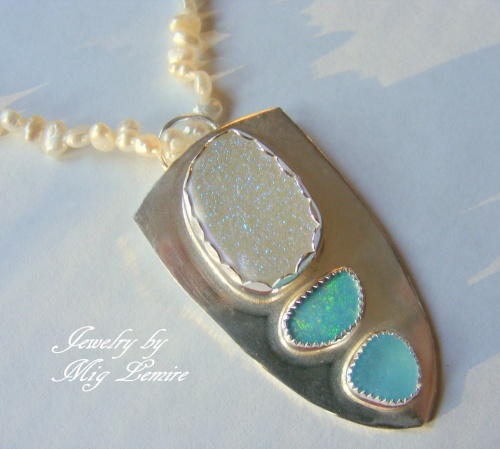 Sparkly druzy with blue flashes accompanied by a flashy and mesmerizing opal and a gorgeous piece of authentic seaglass. Set on sterling silver makes these stones pop.Necklace is made with small fresh water pearls.One of a kind cannot be reproduced.